Curation list of new content uploads by your favorite vloggers. On their latest episode, the ever ravishing women give us insights on gifts they have received in the past years for Valentine’s. Also, find out who got on a motorbike with a teddy bear for his girlfriend after 3 years of no Valentine’s gifts. This episode looks into the great memories leading up to the departure of Capital FM’s Susan Wong. Songs, guests and challenges highlight the 25-minute video with mixed reactions of both cries and laughter. The group speaks out on how their influence on YouTube has affected their lives, including one who had her birthday wish fulfilled after an unknown guy did a delivery to her school. Kaluhi tantalizes our taste buds with her latest masterpiece. It comes with bonus advice on how best to avoid bad breath in front of people. It will take your breath away, lol. 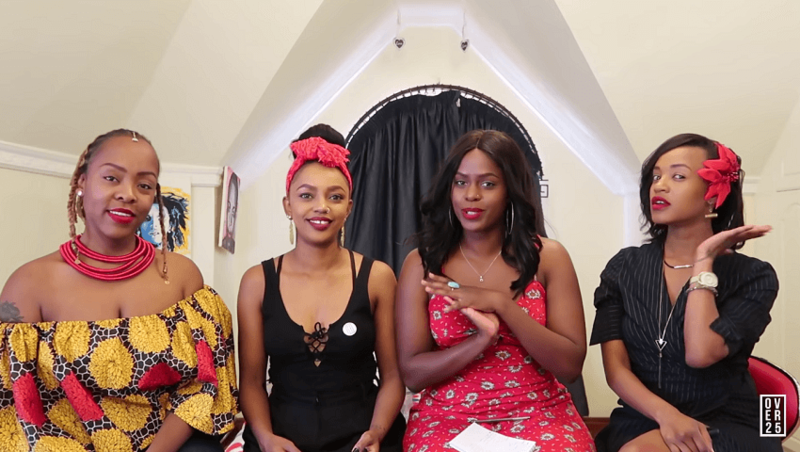 The group reacts to Afrobeats musician, Niniola’s “Bana”music video. One of the guys just found out the artist is Nigerian! His reaction is priceless.